Treatment : Residual Insecticides Sprays are still generally effective for fly control outdoors, But localized population may have a problem with some of these insecticides. Outdoor application are carried out places where flies breed e.g. garbage dumps, manure pits and other places where there is moist filth. The rate of application can be increased on outdoor areas where breeding is heavy. Chemical Sprays with emulsion of Melathion, DDVP and Chlordane can be used to destroy flying house flies. 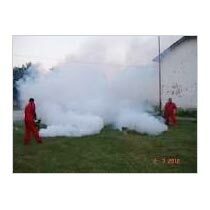 Pest seal aerosol is refined aerial spray which can be used safely. The toxicants are released in the air with a propellant gas and there is little risk of contamination. Dining areas should be covered before spraying. 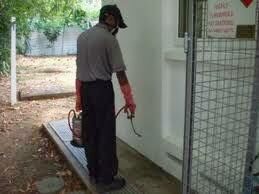 Pet should be removed from the area before spraying and not allowed to return until the spray is dry. Chemical Management Techniques. The use of chemicals is, at best, a temporary expedient that should be limited to only those situations for which no other alternatives exist. in general. chemical control can be divided into two major operations. The first, larviciding is the most efficient and effective and should be the backbone of any good chemical program. The second, adulticiding is less efficient and as such should be used strictly for supplemental or emergency purposes. 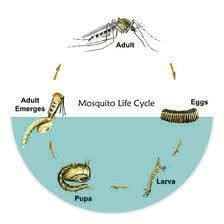 The detection of active transmission of mosquito borne disease is an example of such an emergency. 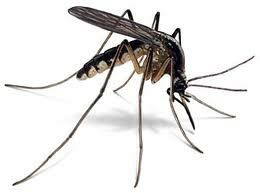 Resistance can be a problem in mosquito control. especially when using some of the organophosphate compounds.